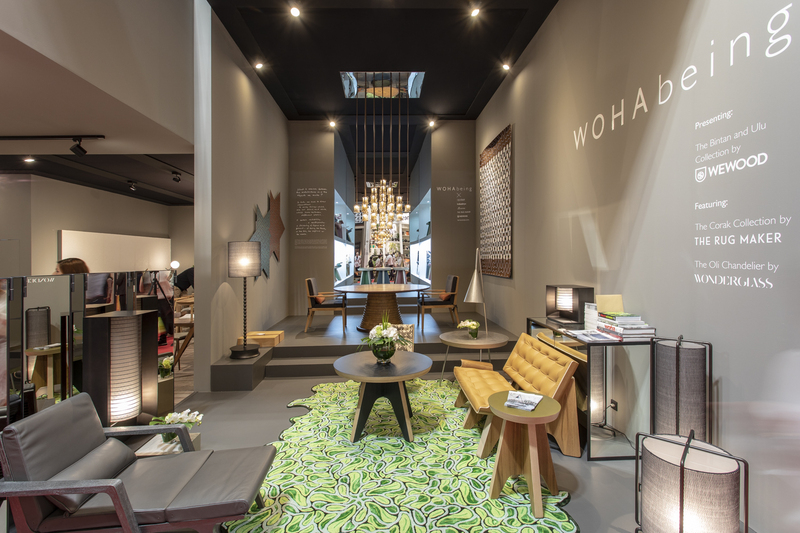 wohabeing exhibited objects from the Ulu Indoor and Bintan Collections with their partner Wewood at a shared stand for the first time at the Salone del Mobile Milan from 17-22 April 2018. 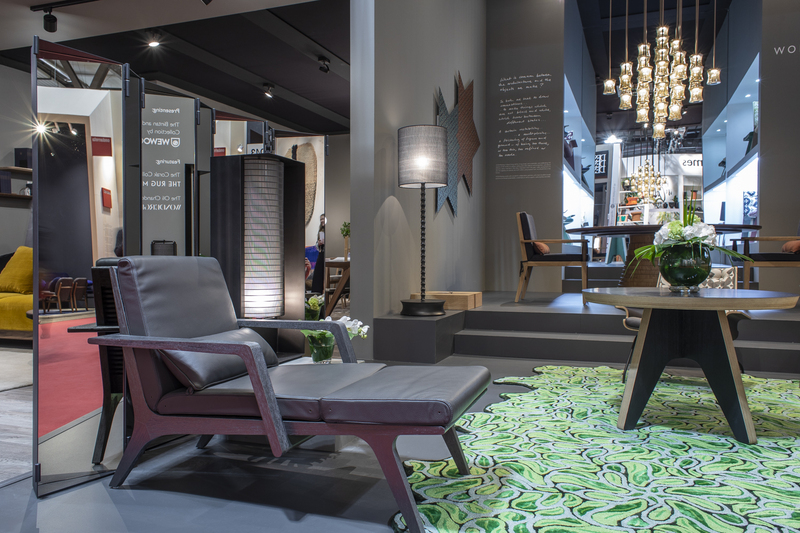 Both collections are being manufactured and sold by Wewood, a family-owned company specializing in wooden furniture based in Portugal. 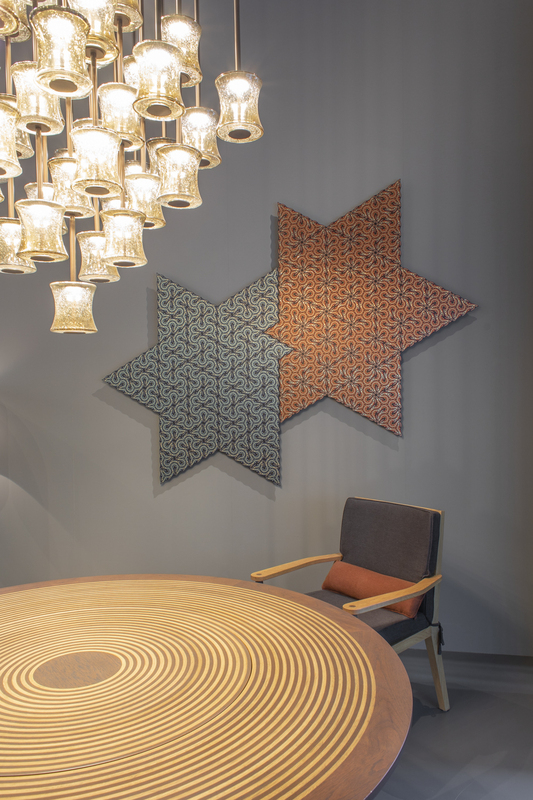 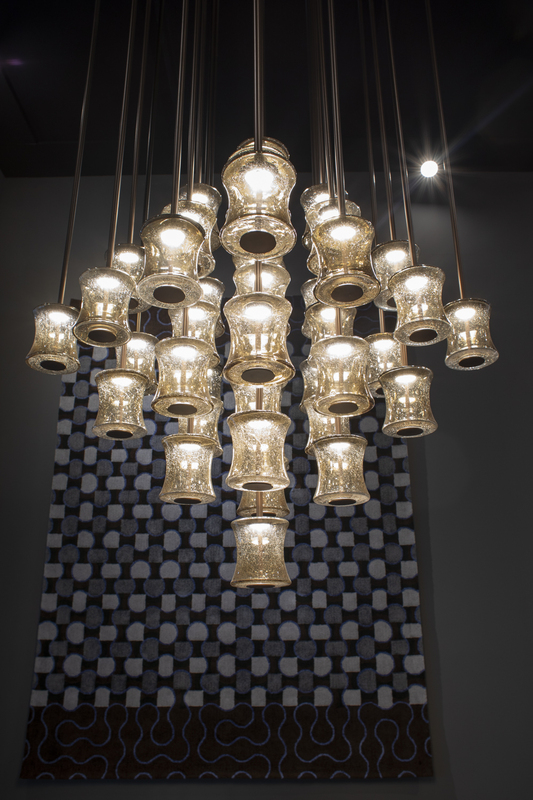 The exhibition will also feature rugs made in collaboration with the Singaporean bespoke rug company, The Rug Maker, and the Oli Chandelier which was produced in collaboration with London- based WonderGlass.